Any Superyacht travelling into Australia who has foreign crew on board must have valid visas for the Crew prior to entry. Part of the process requires a Sponsorship to be in place so that the foreign crew members can acquire a Temporary Activity Visas. 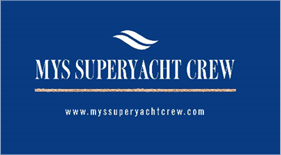 The sponsor can be the Captain or the Owner of the Superyacht, or the Ownership Company. Here at Major Yacht Services we have had many years of experience in assisting Captain’s and Crew to obtain Visas. Thereby streamlining the process and making the Sponsorship and Visa application process as seamless and easy as possible. Please contact us for an obligation free discussion on the process, the documents required and how we can assist.